Inorgen’s goal is to bridge the gap between discovery/early preclinical and phase II clinical trials. 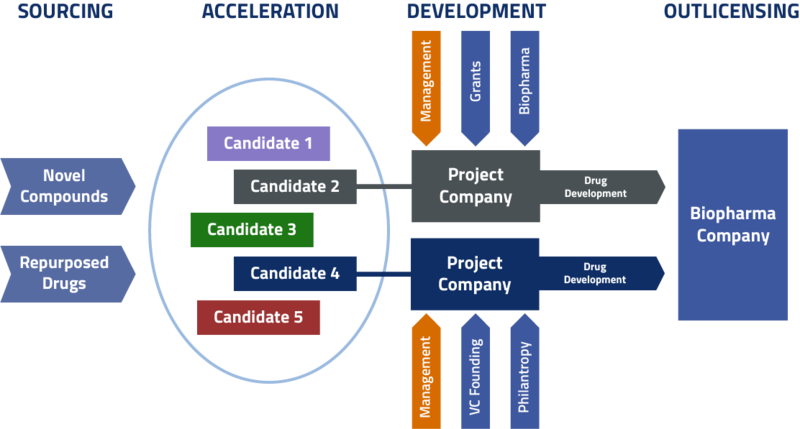 Its aim is to translate research findings from academia and R&D institutes into druggable candidates to receive support by venture capital and biopharmaceutical companies. 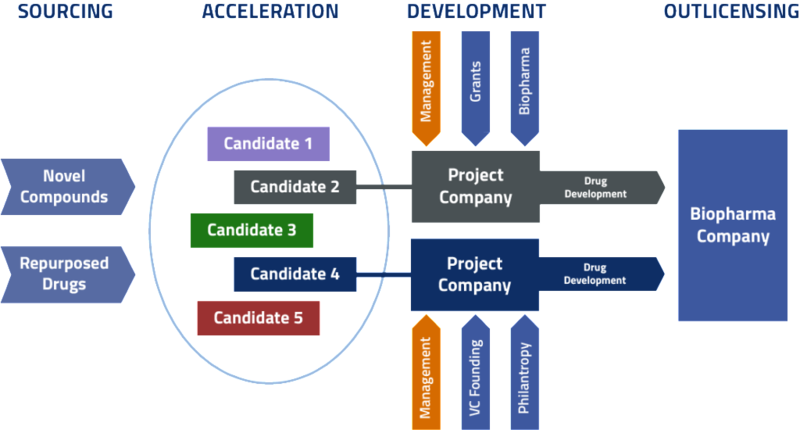 Compounds are sourced, incubated and presented to external partners to receive support for the execution of the drug development plan within project-specific companies. This provides the chances for the compound to reach the market through an outlicensing agremment with a biopharmaceutical company. After sourcing, Inorgen executes a number of activities to comply minimum requirements to achieve support from external partners.